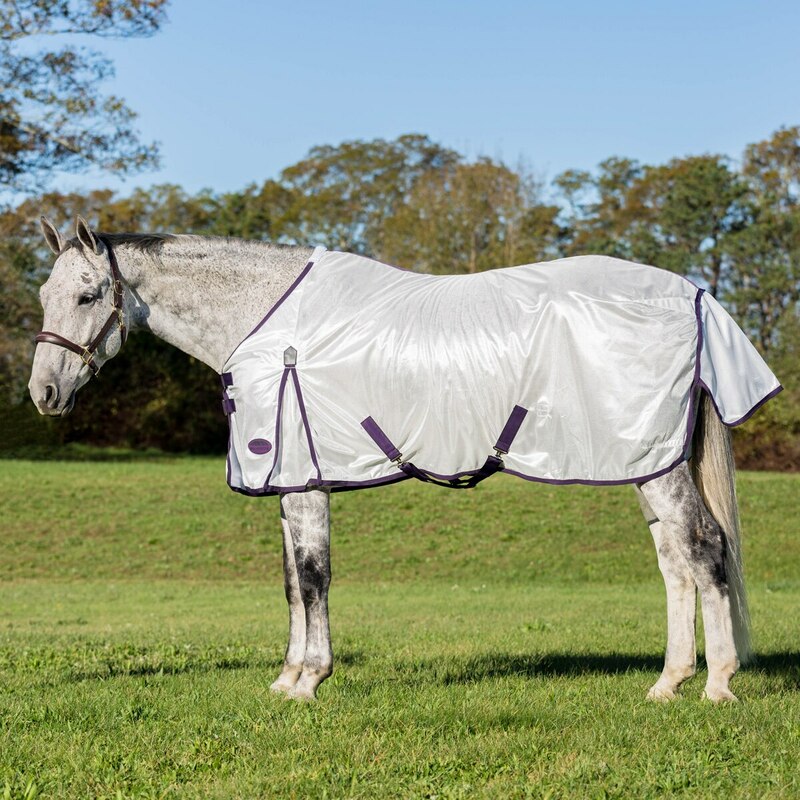 The WeatherBeeta ComFiTec Essential Mesh Fly Sheet features softmesh fly protection with 210T nylon lining at the shoulders, mane and tail. Featuring twin adjustable surcingle front closure, traditional side gussets for natural movement, adjustable belly wrap and adjustable, removable web leg straps. Body Layer Made from strong ,absorbent knitted polyester net. Upper lightweight mesh Layer on top. Super lightweight fabrics for maximum breathe-ability. Sun reflecting properties. WeatherBeeta ComFiTec Essential Mesh Fly Sheet is rated 3.0 out of 5 by 2. Rated 4 out of 5 by Kim08 from Great Fit! 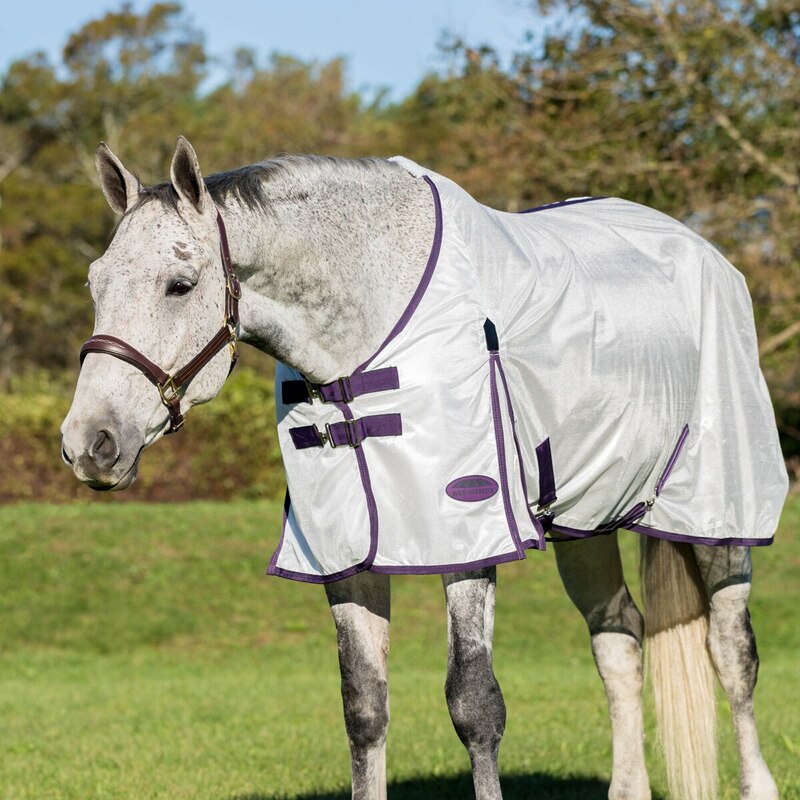 I bought this fly sheet a couple of weeks ago for my new horse. She actually measures a 76" but the 75" fits fine. Nice soft nylon and no shoulder rubs.